Victor W. Alting van Geusau Esq. (LL.M.) – Vice-President of the European Institute for Privacy Audit, Compliance & Certification (EIPACC) – is an experienced lawyer and auditor, and is specialized in information law and privacy law. Victor holds degrees from the University of Utrecht and University of Amsterdam law schools. He has consulted for many organizations and helped them to streamline their business processes. He has worked both as a subject matter expert and in various management positions. He has published on a variety of topics, such as project risk analysis methods, EDP auditing, system evaluation (operational quality, user satisfaction, system design and configuration) and business processes. In his areas of expertise, Victor advises organizations in identifying and managing contract risks and regulatory requirements and in implementing compliance rules. 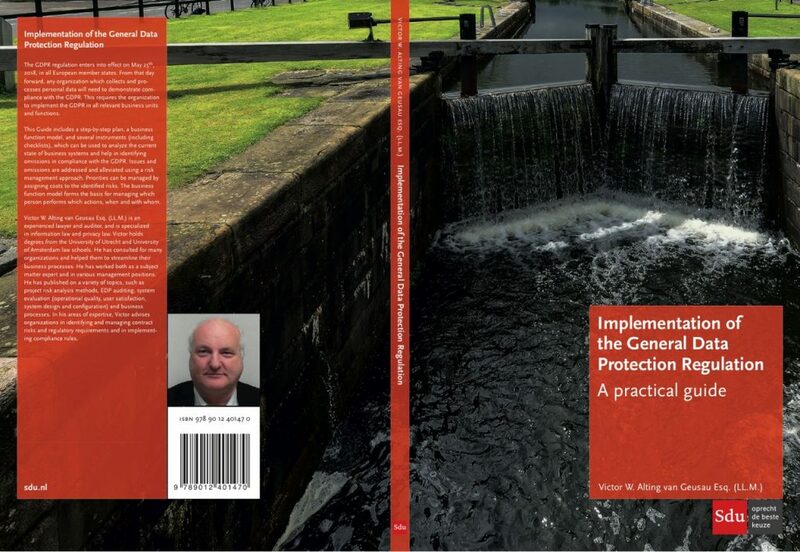 Would you like to carry your own personal copy of this practical GDPR Implementation Guide, please order by clicking here.